The primary service contact and solve the problem via phone. 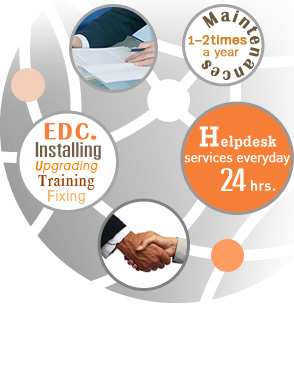 Our helpdesk services everyday 24 hours. 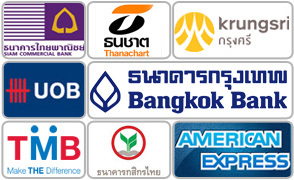 Providing services at customers’ installation location such as Installing EDC at cashier point, Upgrading program on EDC, Training, and Fixing EDC. The services hours is every day from 8.00 to 20.00. To prevent the failure of the EDC system, we provide scheduled on-site preventive maintenance once or twice a year depending on system usage and customer requirement. The services data management, inventory management services and report involving to EDC services activities. Quality Control and Fixing the failure units.